Keghouse Micro Brewery are one of the brewers who will be selling their brews at the 2018 edition of Capital Craft Beer Festival (which is happening on the 16th of June at the National Botanical Gardens in Pretoria). Where does the name “Keghouse” come from? The name came from our home brew shop which was called “The beer keg”, and I liked the idea of a German Keg house. What do you like the most about beer? What makes your brews different from other brewers’ beers? I like doing “weird” things. I have as my normal beers, a Belgium wit bier, a pumpkin ale, that we use butternut in that is roasted in our pizza oven, and we also do a chilli and chocolate stout. What is your favourite quote about beer? What is your favorite drinking song? There are too many to remember, but I don’t think I sound very good after a few beers anyway. What can expect from you at Capital Craft 2018? What is the funniest thing that’s ever happened to you at a beer festival? I tried to help a fellow brewer pack up his taps while very intoxicated and almost destroyed half of the equipment. Also drove through someone’s garage door after the festival, wasn’t funny at the time. I’d like to thank Keghouse Micro Brewery for this interview and I wish them all of the best with next week’s beer festival and their future endeavors. 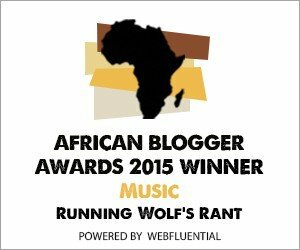 Watch this space for regular Interviews with interesting people and updates in the Events category on Running Wolf’s Rant.